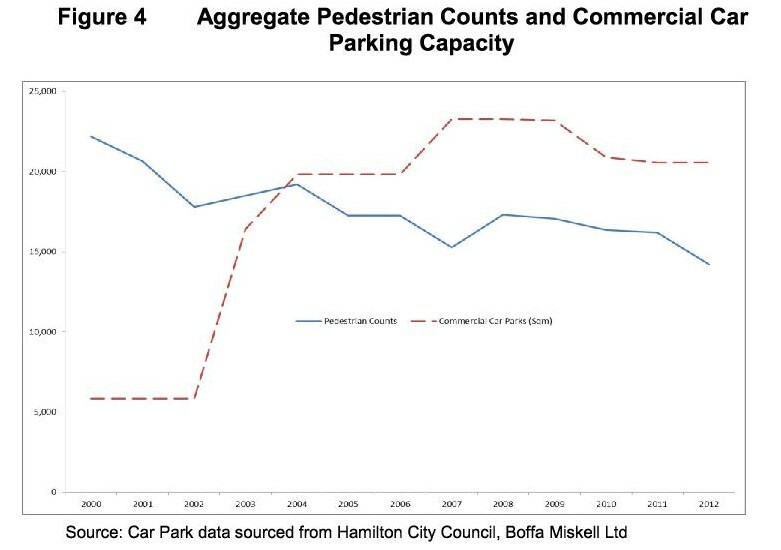 It is then suggested that “increased commercial car park capacity indicates a shift from pedestrian to car-based access to and around the centre” (Page 35-ref.1.) 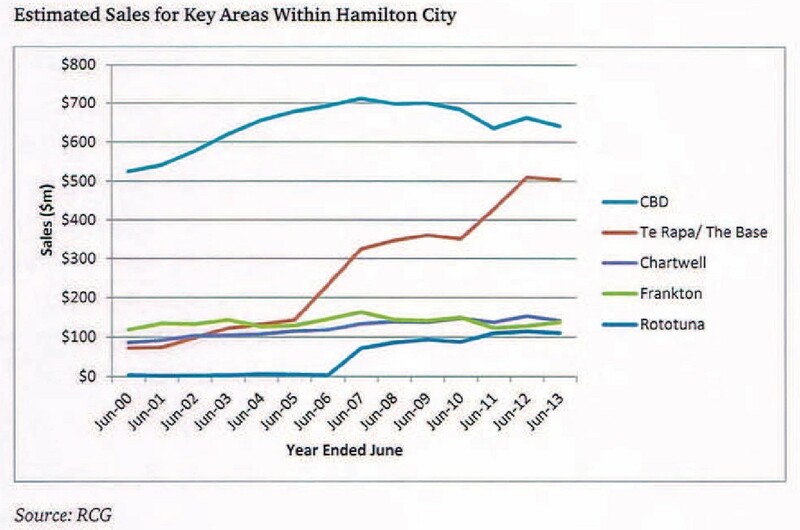 One would expect to find some evidence, but there is none (the Vehicle Count is in the Hamilton central area only). 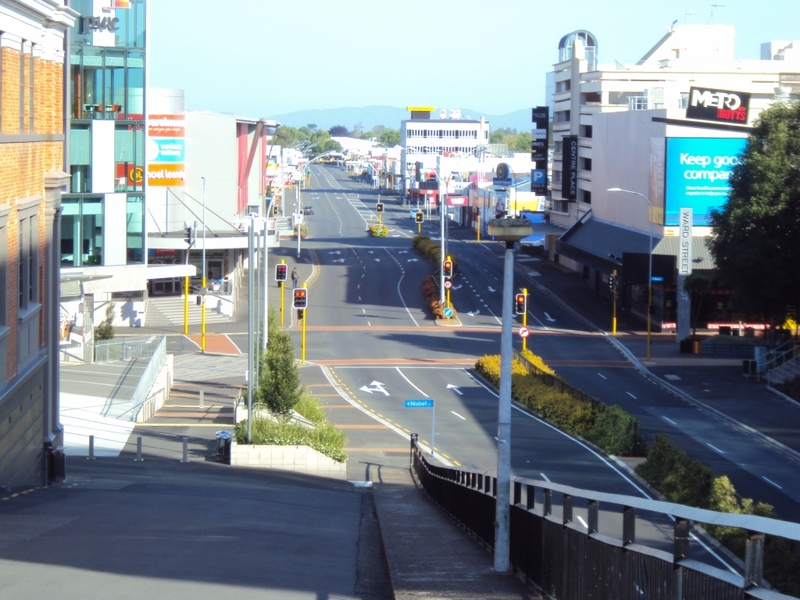 Maybe a 6-lane road (4 for car movement lanes plus 2 lanes for car parking) on a sunny day would make an attractive place. One would expect to see some evidence. If free parking at competing retail locations stopped people going to places where they pay upfront for parking, one would expect to see some evidence. Here I’m suggesting the 2007/08 GFC reduced car use, which reduced CBD parking revenue. Sorry, one more graph: below we see the effect of changing retail locations. 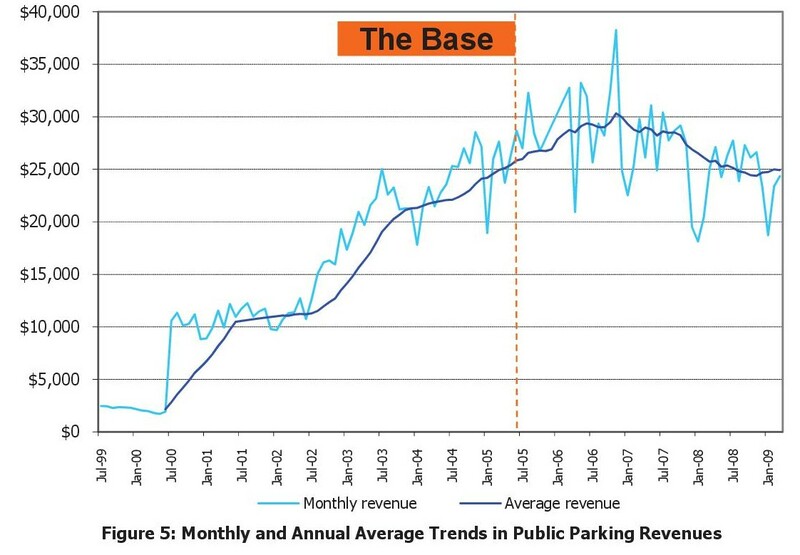 Note: only the CBD charges parking as a separate cost, so in 2005/06, Rototuna and the Base came alive but the CBD didn’t have a step change in sales until about 2010, as The Base was investing in more retail space. “13.33) [Paul P Keane] view is that a large proportion of the sales would have been lost to Hamilton. They would either not have been made at all – that is, households would simply spend less on retail – or they would have been made in other cities instead, such as Auckland, Tauranga or Rotorua, resulting in outwards leakage. I’ve been reading for a while, but first time commenting. This is a really interesting bit of research, but I’m missing the story that goes with. There’s implications, but the trouble is only those that already agree with the premise will follow. For example, the comment about Anglesea St not being a people friendly space wasn’t explained or integrated with the rest of the article. I’m not clear on what the conclusion is. Do we need newer ped count data? Does the district plan or council policy have something on parking that needs to change? Is this a subtle challenge to garden place parking? Really interested in what direction you think this is pointing us.